You are a fan of biathlon and you want to hit the mark on a biathlon shooting stand? Just try it! 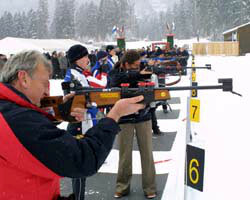 Where on other times international top athletes reach top scores, amateurs, people on holidays and beginners can gain experience in biathlon yearlong every Wednesday from 1 p.m. to 5 p.m. under professional supervision of trainers, try shooting with the biathlon rifle and test their performance. Hold the biathlon rifle in your own hands and try to hit the mark – feel like a top athlete for one moment. Children and youths can also try their marksmanship by shooting with a laser gun (without age limit), with an air rifle (from the age of 12) or a small bore (from the age of 15). Choose your clothing according to the weather. 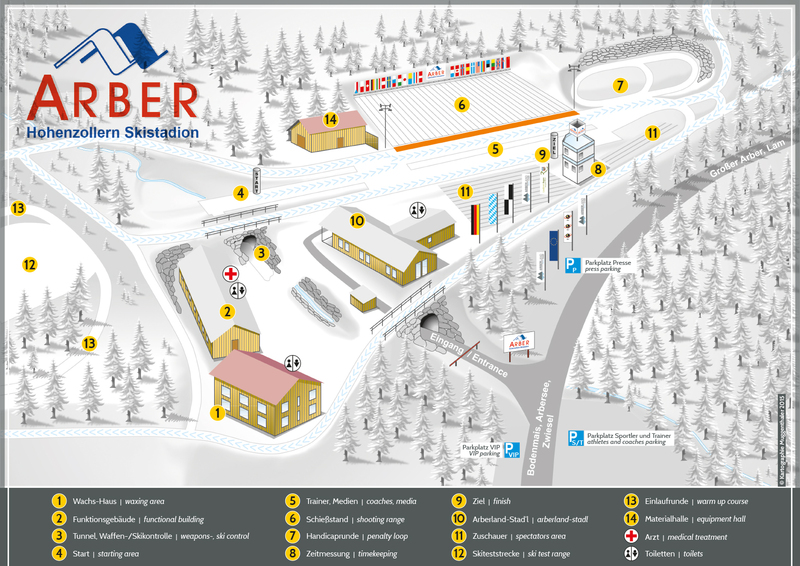 Registration is possible until Wednesday 10 o’clock at the tourist information, Schneider Events or directly at the Hohenzollern ski stadium. Opening hours stadium: Wednesday from 1 p.m. to 5 p.m.
Price: 30 Euros per person including 25 shots (further munition for an additional charge) that have to be paid at the registration at the tourist information or directly at the stadium.